Please plan to join us this Sunday, September 16, to celebrate 100 years at St. John the Divine in Southwest Harbor at the 10:00 a.m. service. There will be special music; a history display of photos and newspaper articles in the undercroft; and a birthday cake! An extended Prelude by Cate and Jane Pope will begin about five minutes before the service. Please come early to settle in before the festivities begin. Stephen Sampson and Pamela Smith will also be providing special music. 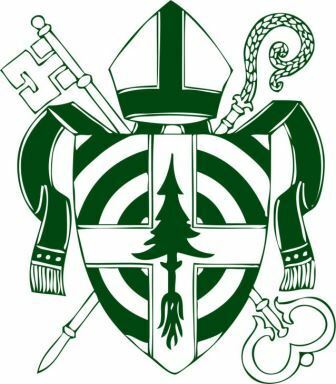 Bishop Lane is coming to MDI for his final visitation before he retires. To honor him, the four parishes are hosting a Harvest Dinner at the Hulls Cove School House. Please make reservations by signing up on the sheet provided at St. Andrew by the Sea and also in the undercroft at St. John the Divine. September 16: Holy Eucharist at St. Mary's by-the-Sea, 10 am. Paul Milligan, Douglas Mays, Dorothy Clunan, Anne DeGolyer, Jackie Mayhew, Betty Mitchell, Cody Van Heerden, Jim Risser, Scott Hatcher, Ray McDonald, Janet Meryweather, Bill and Barbara Loveland, Win Short, and Bob Theriault.